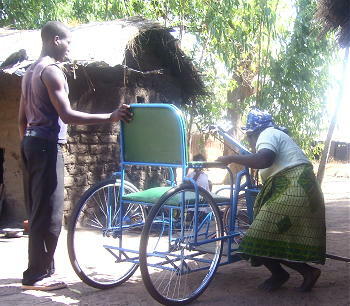 Four years ago disabled Merekina Filipo was pushing her hand-operated wheelchair in Salima, Malawi. A moving vehicle ran into her damaging the chair. The driver then ran away leaving her in painful wounds. This woman has two children and two granddaughters. 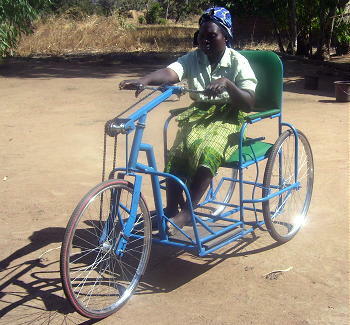 No one, not even the government, wanted to help her with her broken wheelchair, Her wheel chair was a nice one because she could cycle it using her hands. 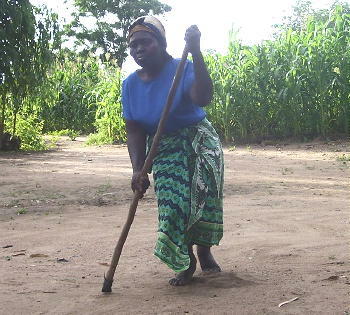 She approached Wordsworth Rashid, one of our LifeNets representatives in Malawi, if we assist her with the repair of her wheelchair. This was in February 2009. 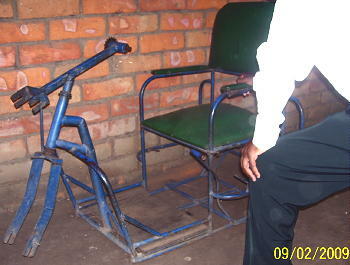 We were glad to help and provided the funding to repair the chair that she had been without for FOUR years. The repairs were done and Merekina Filipo is able to be mobile again. We are so happy to help this lady completely change her life! 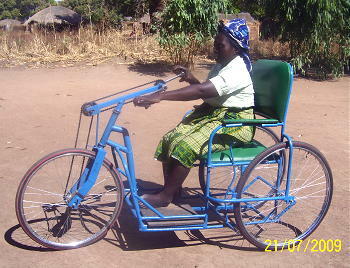 Miss Melekina Filipi is proud of the wheelchair that LifeNets has helped to bring back to functional use. She said her appreciations is to God the Merciful Eternal One. Orientation and mobility will now be easy for her. She is able to go to many places within a single day. She thanks LifeNets so much. What did this cost? Only $129!! This included enlarging the door to her house so she could bring it inside. What a difference it's made!! We want to thank all our LifeNets supporters to who bring happiness through the simplest means. Here's how Merekina got by for four years before the chair was repaired.